Hewlett Packard - Nvidia Quadro FX 4800 HP Nvidia Quadro FX 4800 1.5GB GDDR3 Dual DisplayPort DVI PCI-Express X16 Double Height Graphics Video Card 536796-001. 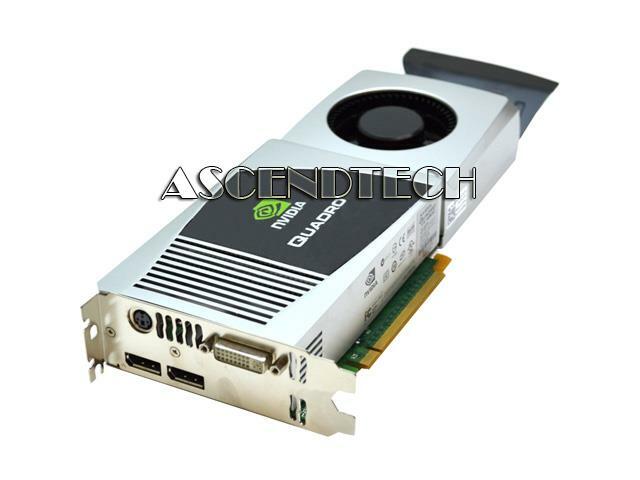 Nvidia - Quadro FX 4800 Dell nVidia Quadro FX4800 1.5GB Dual DisplayPort DVI PCI-Express Graphics Video Card 1G28H 01G28H CN-01G28H. Hewlett Packard - 490566-003 HP/COMPAQ - NVIDIA QUADRO FX 4800 PCI EXPRESS X16 1.5 GB GDDR3 SDRAM GRAPHICS CARD(490566-003). NEW BULK. IN STOCK. SHIP SAME DAY.